Drug war charts and more. See Portal: Drug war charts and maps. In 2008 with less than 5% of world population the USA had over 2.4 million of 9.8 million world prisoners. See latest numbers and World Prison Population List (9th edition). The majority of people incarcerated in prisons and jails in the USA are in due to drug-related offenses, crimes to get money for drugs, or drug-related parole or probation violations. See Wikipedia: Drug-related crime. The number of inmates in the USA has increased almost 5 times over since 1980. Compare incarceration rates worldwide. 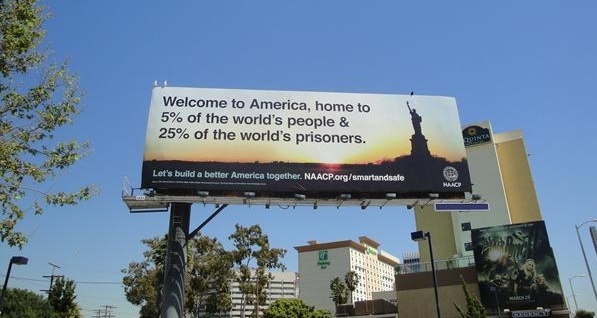 "Welcome to America, home to 5% of the world's people & 25% of the world's prisoners." Image info, template, stats, further info. Most are incarcerated due to the drug war. 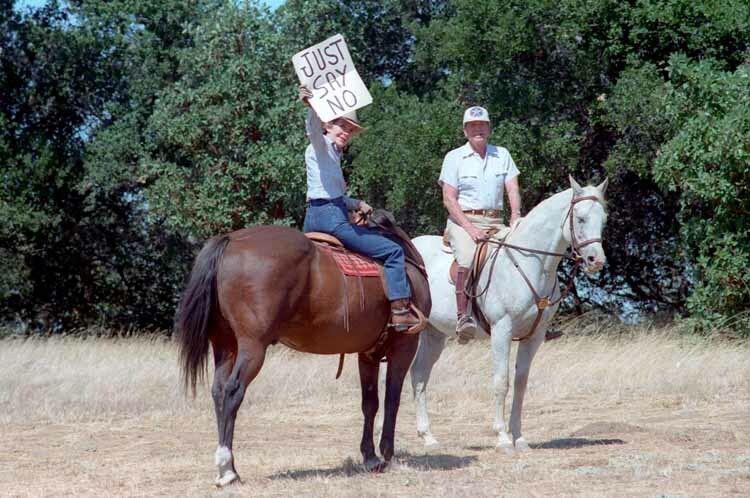 Nancy & Ronald Reagan. Info. Click here for larger chart, and info on the sources. While the rich get richer, the poor and the middle class are in crisis, or in jail, or paying for jail. Click chart to enlarge. More info, and larger chart. This page is in the public domain. Copy any of it anywhere. Edit further in any way. This footer section is also found here and here. Contact. Site stats: Popular pages: 2012. 2011. 2010. 2009. 2008. 2007. 2006. 2005. 2004. Tool started sometime in mid 2004. Not used in previous years. Yearly page views: 2012. 2011. 2010. 2009. 2008. 2007. 2006. 2005. 2004 (285,000 - highest yearly total). 2003. 2002. 2001. Page view records start in Dec. 2001.